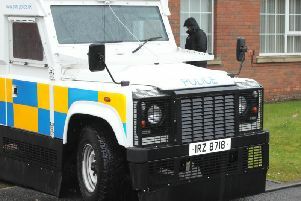 Several vehicles were badly damaged in an arson attack at a car show room in Craigavon. The incident the Highfield Road area in the early hours of Sunday 22 May. The PSNI said: “Just after 1.30am police received a report that a number of cars had been set on fire on the forecourt of a car showroom. “Two cars were completely burnt out, another car received extensive damage while a fourth car received scorch damage.